Equestrizone Flax/Linseed Oil helps to maintain strong hooves, glossy coats and a better all round condition in horses. The omega 3 oils also aid digestion, and flax oil is believed to help develop speed and endurance in performance horses. Cold pressed from farms in Yorkshire to keep valuable omega oils in the finished product. Lower amount adequate for general maintenance, higher amount recommended for breeding stallions, pregnant or lactating mares, youngstock and very hard-working horses. 5 litres fed at 100 ml per day will last 50 days. 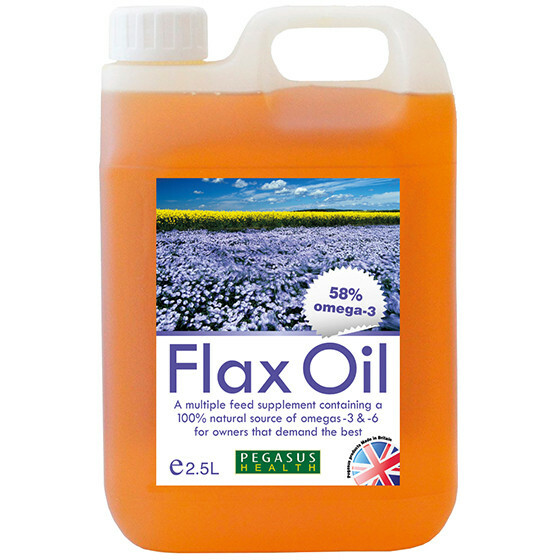 There are currently no questions for Equestrizone Flax/Linseed Oil for Horses - be the first to ask one!